With apologies to all, I will be posting the Virtual Group Meets with Averaged 5000m marks from LY versus Holmdel marks. The problem that emerged was the number of teams and individuals who “advanced” from Virtual Sectionals and had not competed at Holmdel last season (imagine that!). That makes it impossible to do an apples to apples comparison using anything other than the commonality of averaged marks. I will be publishing a separate Holmdel returners list later in the month. Again, sorry for the mis step. 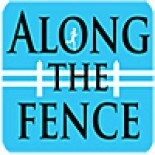 Along the Fence continues our Virtual visit to the future as we take a look at how the 2013 Group Meets might turn out based on the Virtual Sectional meets from the last post. 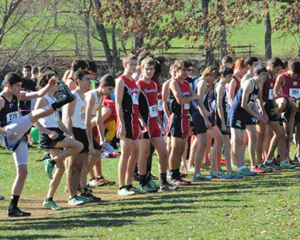 Looking forward, for the Virtual MOC we will try to use Holmdel SBs as the scoring criteria. This group of meets will, obviously include the “Ecumenical” teams, who do not run at the Sectional level. Well along with your permission allow me to clutch your RSS feed to keep up to date with forthcoming post. This entry was posted on August 6, 2013 by Patrick Montferrat in 2013 XC.